Stop worrying about SEO and stop obsessing over keywords. Both of those things should take care of themselves if you’re just writing great blog posts. Sure, there’s some optimization work you can do to get better search mileage out of your posts, but that’s not nearly as important as the content itself. For some reason, small business owners tend to be overly focused on “optimizing” & “tweaking” (things we like to do) rather than just providing great value. With blogging, your top priority should always be to provide great content. You can worry about the other stuff later, so for now don’t worry about it at all. This is another classic mistake — scrambling to be on every possible social network and struggling to make little updates everywhere and anywhere. Instead, take a month or two and just really zero-in on one social network. Pick one of the big 5 networks — Facebook, Twitter, LinkedIn, Pinterest, or Google Plus. Choose the one where your business already seems to be building the most momentum. Or, for fun, choose the one where you’ve struggled to make many connections. This is a great way to avoid the scatterbrain effect that often results from “over socializing” your business online. I’m definitely NOT saying you should abandon all of the other networks completely. just focus your efforts in one place for a period to build traction. I almost always seem to come across landing pages that scream sales & promotion but do very little to actually keep me reading. But every once in a while, I come across a landing page that makes me so excited to buy it feels like I’m not buying at all. Your landing pages (aka sales pages) should do exactly that. Pour value into the copy. Add lots of images & media to make it fun to read. To achieve this, I suggest hiring a professional copywriter and/or sitting down and writing out a script. Imagine you’re telling the story about your product or service to a close friend. Works like a charm to make your landing pages stronger. Yes, every email marketing message you fire off should be designed to inspire some specific action. The best action for your customers to take, of course, is to buy something. But it’s just as important to think of every email marketing message as a new opportunity to strengthen your business-to-customer bond. For the vast majority of folks who do NOT buy from today’s email, that should be the consolation prize for your business: a stronger relationship that inspires a purchase down the road. To achieve this, be sure your email marketing is personalized and direct. Speak right to your customer as though each email was intended for one specific person only. There you have it. 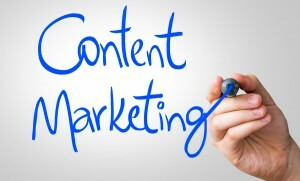 4 ways to improve your small business content marketing. I hope you find these ideas useful and effective.